Isn't this just the sweetest card to brighten someone's day? Just one of those little 'Hey there, I'm thinking about you today!" cards that is sure to bring a smile to the recipient. One of the fun things my stamping team does at our monthly meetings is swap card fronts. It's a great way to get ideas using stamp sets we might not have (and invariable leads to wanting said stamp set, lol). We have a different theme each month, and this month it was "anything from the Occasions catalog and/or Sale-A-Bration." I managed to use something from each and the annual catalog, too! 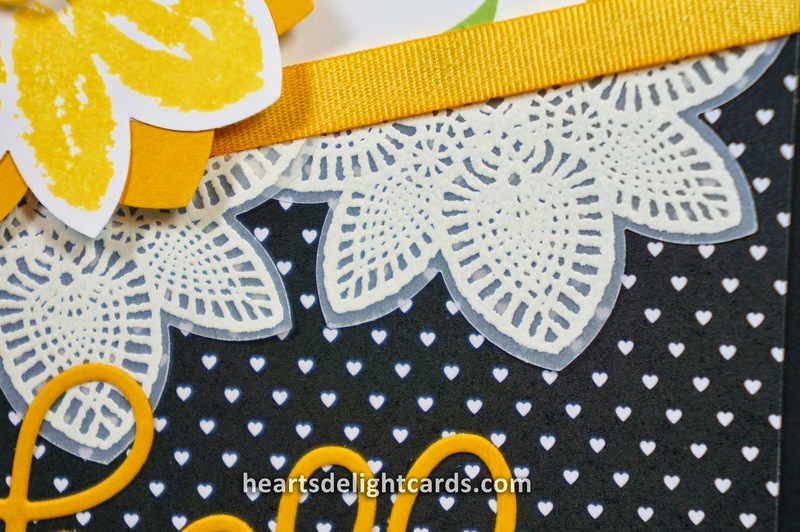 The "lace" is one of the stamps in Petal Potpourri, stamped in VersaMark on White Vellum Cardstock, and heat embossed with white embossing powder. 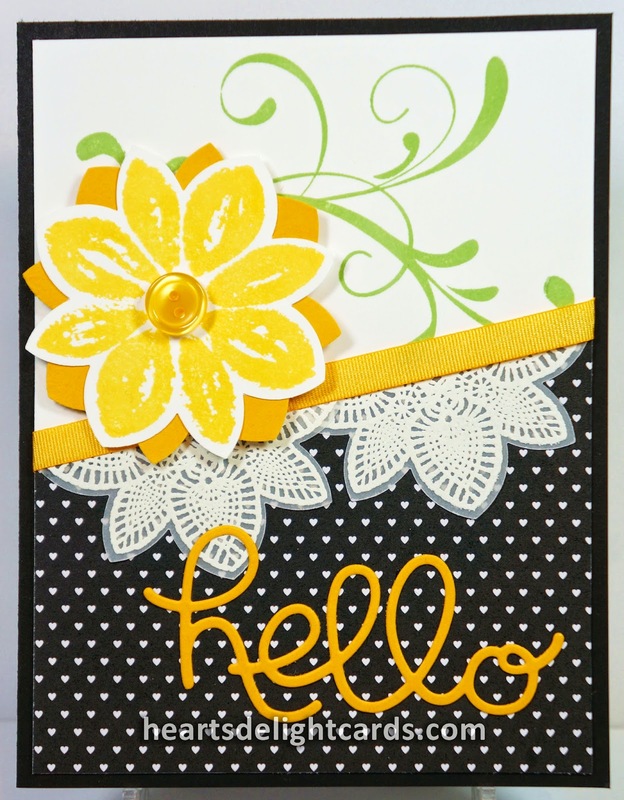 Having a punch to match that stamp set makes it a snap to cut it all out! This is one of my favorite color combinations when I'm looking for something that really pops. Yellow and black are really eye-catching colors, which is probably why highway departments use them for warning signs. If you'd like to learn more about how much fun it is to be a Stampin' Up! demonstrator, and more of the great benefits of joining my stamping team, contact me for more info! Like your color choices and stamp combination. Pretty card.